The EEOC has accused Texas Roadhouse, a national, Kentucky-based restaurant chain, of engaging in a nationwide pattern or practice of age discrimination in hiring hourly, “front of the house” employees in a suit filed on October 3, 2011 in U.S. District Court for the District of Massachusetts. The suit alleges that since at least 2007 Texas Roadhouse has hired significantly fewer “front of the house” employees 40 or older in age. Texas Roadhouse allegedly instructed its managers to hire younger job applicants emphasizing youth when training managers about hiring employees for its restaurants. All of the images of employees in its training and employment manuals are of young people. Age discrimination violates the Age Discrimination in Employment Act. The EEOC seeks monetary relief for all applicants denied employment because of their age, the adoption of strong policies and procedures to remedy and prevent age discrimination by Texas Roadhouse, training on discrimination for its managers and employees, and more. Not only has the EEOC sued Texas Roadhouse, they have engaged in an aggressive nationwide campaign to solicit plaintiffs for its class action case who believe they may have been denied a position at Texas Roadhouse because of their age or who have any information that would be helpful to the EEOC’s suit against Texas Roadhouse. To help, the EEOC gives its toll-free number, email address and posting an online video from the EEOC General Counsel. The EEOC has also sued Bass Pro Outdoor World for employment discrimination claiming that it did not hire people because of their race (African-American or black) or national origin (Hispanic or Latino) and using the same plaintiff solicitation tactics. Common Sense Counsel: Do all you can to stay off the EEOC radar. It starts with having a legally compliant handbook, training your managers properly on nondiscrimination in all facets of your business, having the proper procedures in place when allegations of discrimination need to be timely and effectively investigated, and hopefully resolved internally. 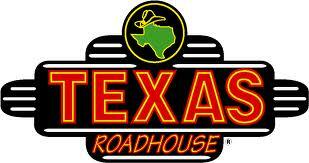 Making statements such as those allegedly attributed to Texas Roadhouse managers should be avoided. Where there is smoke the EEOC will sometimes fan the flames.